1. 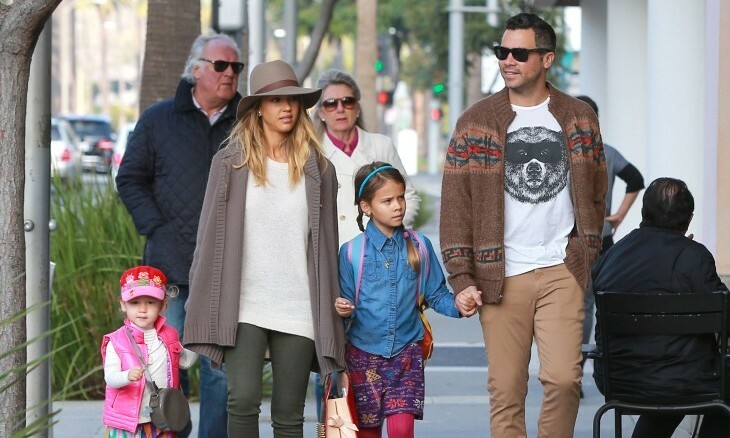 Jessica Alba and Cash Warren: Jessica, Cash, and their daughter, Haven, keep things casual on Mother’s Day. This family loves going to brunch. 2. Camila Alves and Matthew McConaughey: Camila and her daughter, Vida McConaughey, leave Matthew at home. These girls spend Mother’s Day in style by jewelry shopping in NYC. 3. Hilary Duff and Mike Comrie: Who knows what’s in store for Hilary this Mother’s Day, as she is newly single celebrity. But, typically, it’s a warm Mother’s Day for the celebrity mom. Hilary and her son, Luca, were spotted soaking up the sun’s rays in Mexico last year. 4. Channing Tatum and Jenna Dewan-Tatum: Channing and his wife, Jenna, keep this special holiday a family affair. They spend their time with their daughter and Channing’s mom. 5. Halle Berry and Olivier Martinez: This celebrity couple spends Mother’s Day enjoying lunch with her children in sunny Los Angeles. How do you and your mom spend Mother’s Day?